~ Constructed from heavy-duty oxford polyester with water resistant PVC coating and water repellent finish,and the tough fabric provides a powerful defense against any weather. ~ The cover features a concealed LARGE front Mesh Air Vent for max. air circulation and ventilation while still waterproof. So that there is no condensation generated, your grill keeps dry in all weather conditions, NO mildew grown. ~ Velcro closure straps at two sides for better fit and to prevent cover from blowing off,and double padded handles for easy on and off. ~ Easy cleaning and simply hosing with water and the dirt will come off easily. ~ Measurements:60″(width)x22.5″(depth)x41″(height).At Cover World,we offer One Year Warranty and 60 Days Money Back Guarantee. ✔ UPGRADED U.V FADE RESISTANT RIP RESISTANT EASY CARE FABRIC- Heavy-duty rip resistant oxford with waterproof PVC coating and water repellent finish and mildew resistant finish. Double stitch sewing at seams enables additional rip resistance. The tough fabric provides a powerful defense against any weather and protect your valuable grill in the brutal elements. Easy cleaning and simply hosing with water and the dirt will come off easily. 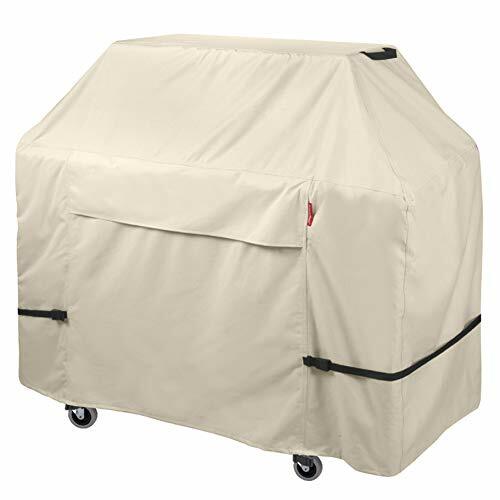 ✔ MILDEW RESISTANT- This 60 inch patio grill cover features a CONCEALED LARGE front Mesh Air Vent for air circulation and mildew resistance, to prevent condensation from forming, keeping your grill dry. The fabric is also coated with mildew resistant finish. 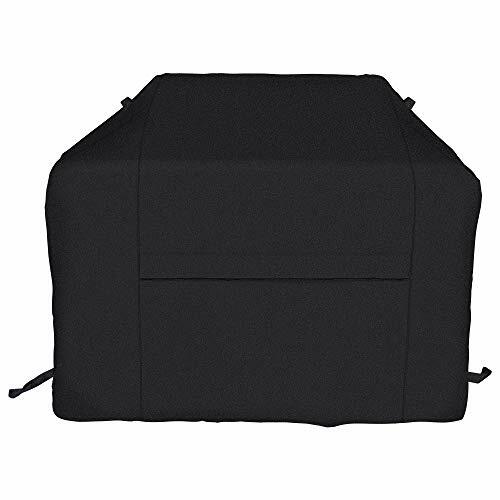 ✔ WIDE COMPATIBILITY- The barbecue grill cover measures: 60″(width)x22.5″(depth)x41″(height). 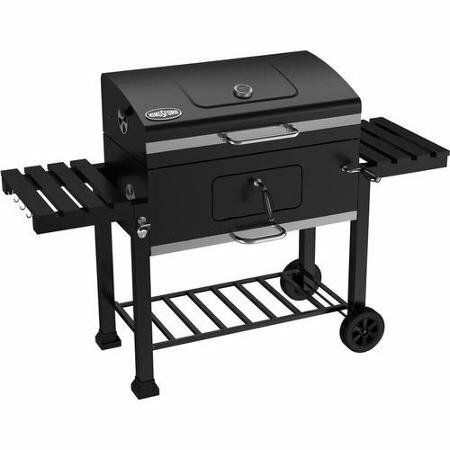 This middle to large size cover for grills fits bbq grills up to 60 inches wide. 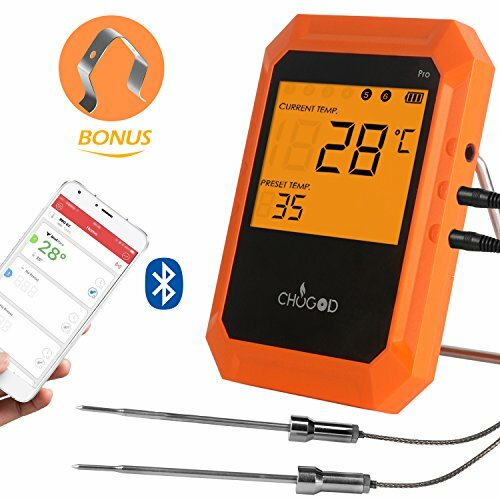 Generally good for all 3 or 4 burner gas grills. 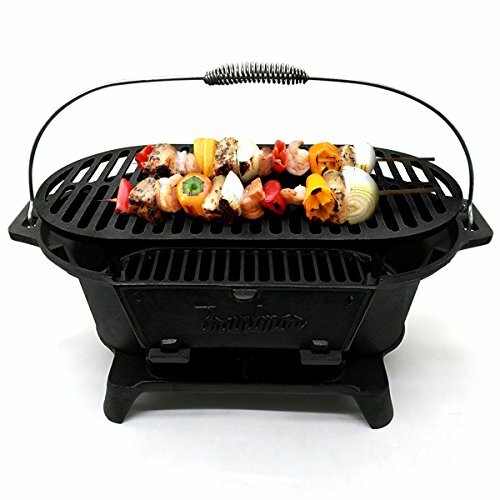 The waterproof bbq accessories fits most brand grills like Weber, Holland, Jenn Air, Brinkmann, Char Broil, Nexgrill. 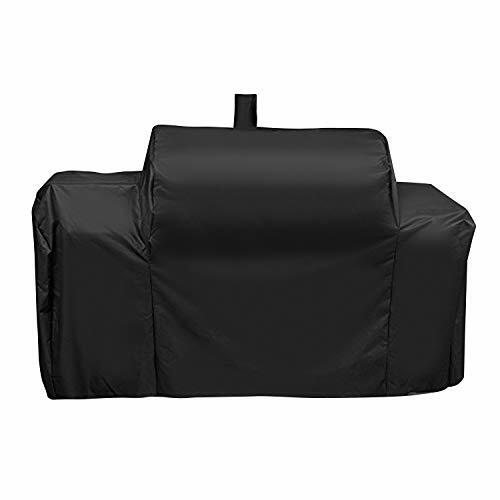 This outdoor barbecue grills cover for bbq is not designed to cover the wheels entirely. The design also prevents SNAKES or other animals from hiding in. ✔ WIND RESISTANT EASY ON AND OFF- Velcro closure straps at two sides for better fit and to prevent cover from blowing off. The large front vent also helps with air circulation so that the cover won’t fly around the yard. The sturdy durable canvas cover constructed with heavy-duty handle at both shoulders which makes on and off much easier. 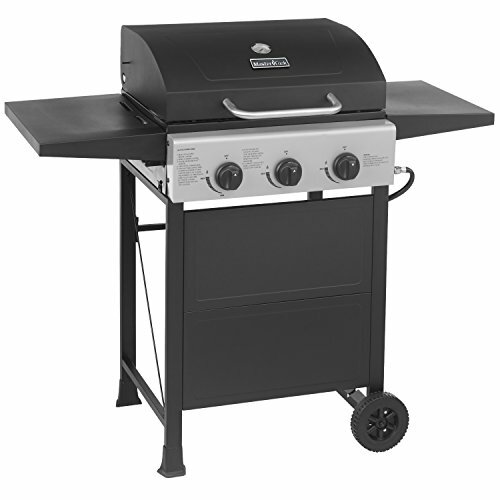 By adjusting the Velcro strap, this 60 in cover will snug fit 52 inch grills, 55 inch grills, 58 inch grills or smokers. ✔ WARRANTY&GUARANTEE- At iCOVER, we offer One Year Warranty and 60 Days Money Back Guarantee. Please Check your grill’s dimensions for proper fit.